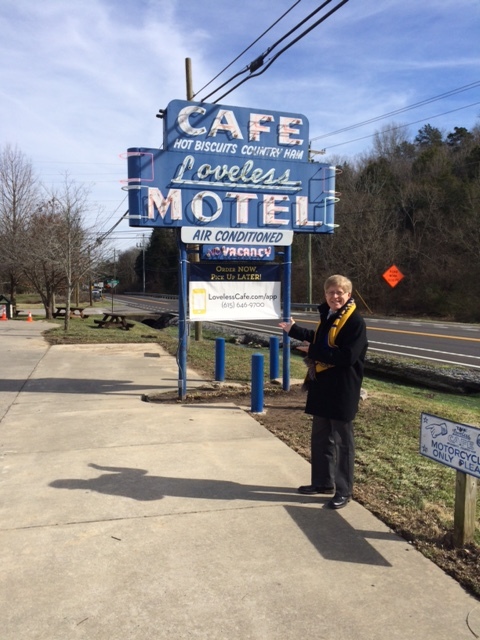 Standing outside the well-known Loveless Motel and Cafe. 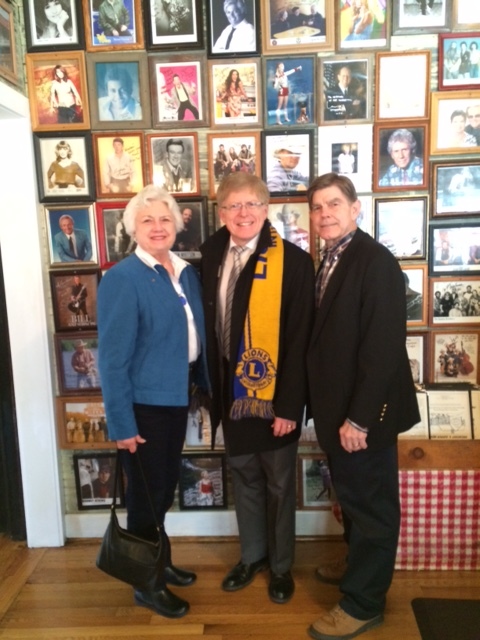 Hosts Lion Andrea and PDG Keith Lawrence inside the Loveless Cafe. We drove to the Montgomery Bell State Park and stayed at the Park Inn. What a serene and lovely location for the convention overlooking a lake and nestled in one of the “hollows” for which Tennessee is well-known. It’s easy to understand why the local residents believe their part of the world is the most beautiful of all. 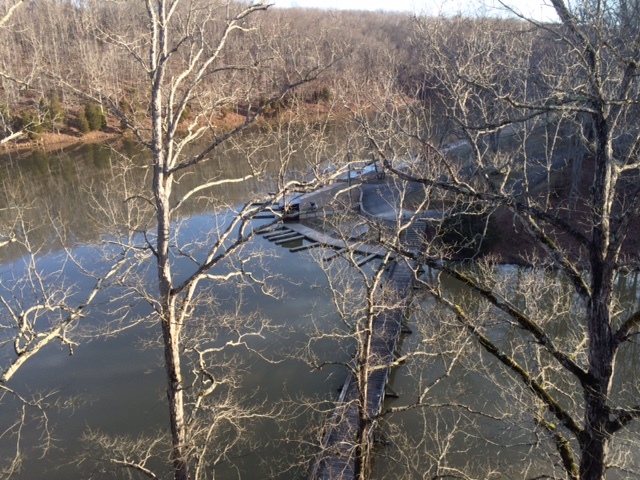 Overlooking the docks outside the Inn at Montgomery Bell State Park. The District Governors from TN (L-DG Bobby Pruit; I-DG Wayne Woods; O-DG Lelia Gibson; N-DG Fletcher Stephens; and S-DG Bob Davenport) met for a special Council of Governors’ session and I had the opportunity to update them on the new Lions membership program 2.0. An impressive group, they were receptive and eager to grow their districts, in part because VP Bob Corlew is from Tennessee and they wanted to “do him proud!” It’s very clear that all of Tennessee is very proud of their local son and will go to great lengths to mark has time in office as a success. There were many opportunities to meet and talk with the Lions at the convention in the hospitality room, expertly managed by Lion Starlene Buie. 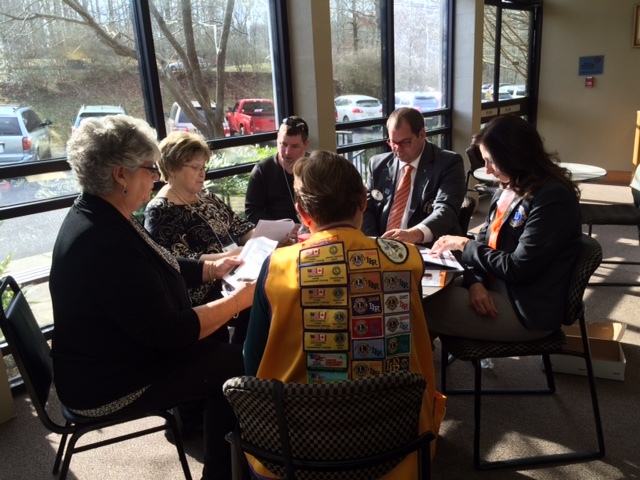 I was especially pleased to meet the District Governor class of 2016-17—a group of four women and one man who would be the five Tennessee District Governors for the 2017 Centennial. Later, the district leadership entertained those present with a skit that they described to me as “nothing you have ever seen before.” They were right, but it was good fun and everyone was hurting from the belly laughs generated by their portrayal of a shotgun wedding. PDG Patsy works with treasurers. Council Chair Ron leads the presidents and executive club officers. In the morning, training opportunities were provided for club officers. 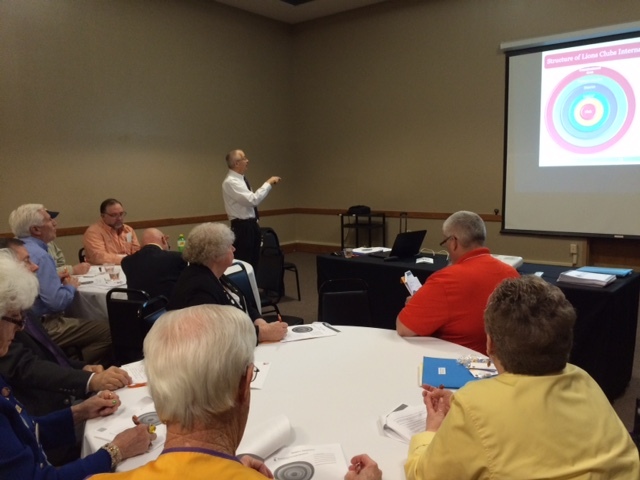 I had the opportunity to speak at a training session led by Council Chair Ron Anderson for the club presidents. He did a great job. The upcoming centennial is going to be quite an event, and this group of leaders was excited to be able to use the centennial to organize their presidential activities. 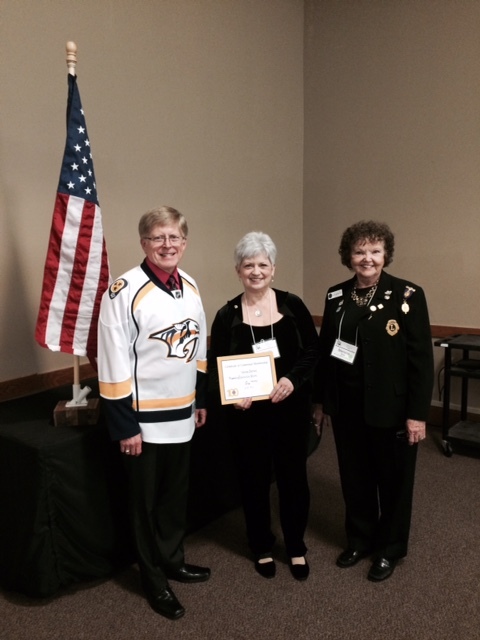 New member Lion Wanda Barnes (Franklin Lions Club) with sponsor Lion Starlene Buie (Mt. Pleasant Maury County). Not pictured, Lion Tammy Daniel and her husband (sponsor) Lion Tim Daniel). I continued my streak of inductions to bring two more Lions into our organization. 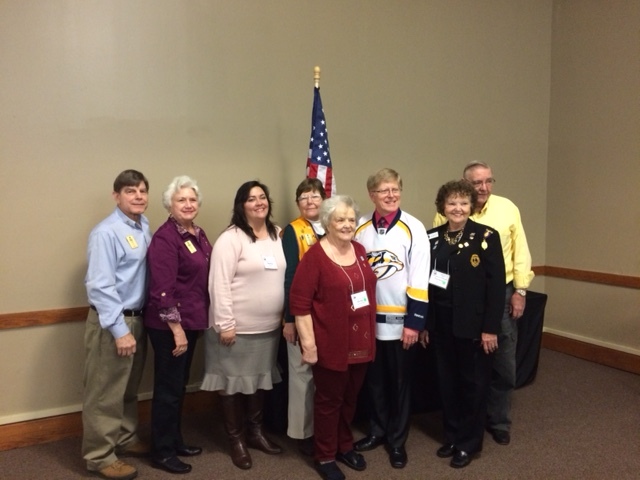 Wanda Barnes and Tammy Daniel joined the Lions of District 12-I. I had the opportunity to present three certificates of appreciation to worthy Lions: Lion Bettye Gandee, Lion Ben Haggler, and Lion Mike Magnuson. 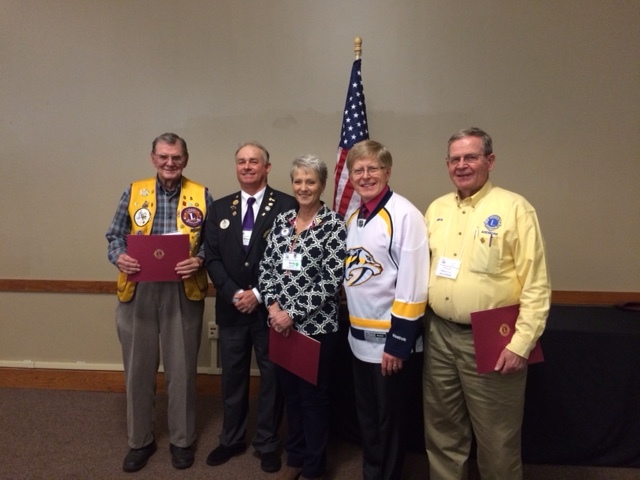 (L) Lion Mike Magnuson, DG Wayne Woods, Lion Bettye Gandee, ID Robert, and Lion Ben Haggler. 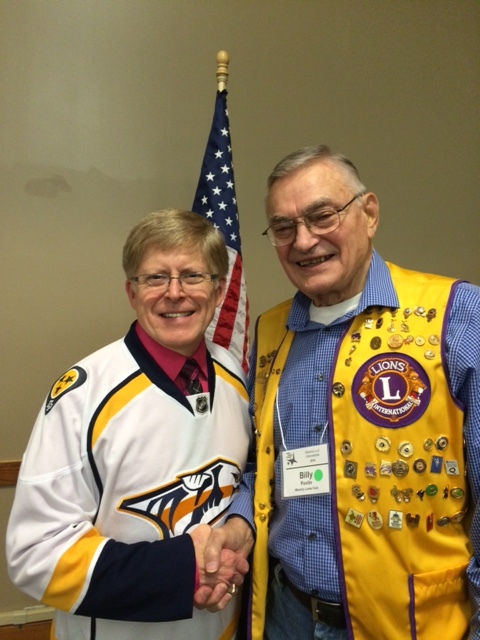 The Lions of Tennessee—and 12-I in particular—were most generous, donating US$695 to the One Shot, One Life Measles Initiative sponsored by Lions Clubs International Foundation. When their donations are doubled with a match from the GAVE Foundation, you realize that 1390 people were saved because the Lions of Tennessee provided the funds to have them vaccinated against the measles. Kathy and I are so grateful for the wonderful response we have received as we sell the “measles pins” at district conventions. Our total amount raised at conventions and other events is approaching $10,000. Thank you Lions for your support of this important LCIF initiative. Most of the Recipients of the North Dakota gift bags. One of the recipients of the ND gift bags happened to be the Lion with the longest membership record–56 years! We are soon off to South Carolina. Our visitations are going by so quickly as we come down the stretch of our second year on the Board of Directors. We continue to be grateful every day for the opportunity to serve and represent our international association through our activities promoting dignity, harmony, and humanity.